We confess. We have a bit of a problem with chocolate. A problem as in we can’t stop eating it. What’s not to love about chocolate? If you love it as much as we do, you’re in luck. We put together a list of 10 delicious places where you can get your chocolate fix. It was a tough job, but we tried them all and we suggest you do the same. Want to watch your chocolate being made right in front of your eyes? HEXX offers a unique bean-to-bar experience at their shop. They use just two ingredients — cacao beans and organic palm sugar — to make their chocolate. The beans come from farms located 20 degrees north and south of the equator and are transformed into chocolate showcasing the flavors of Peru, Tanzania, Venezuela, Ecuador and Madagascar. Not only can you taste the chocolate, you can buy it, along with other candies and gifts in the shop. There’s also the adjacent HEXX café, which features other products made with HEXX chocolate including homemade hot chocolate, create-your-own ice cream sandwiches, and exclusive HEXX chocolate ice cream handcrafted by High Road Ice Cream. Step into Jean Philippe Pâtisserie at Bellagio and it’s like something out of “Willy Wonka and The Chocolate Factory.” Master pastry chef Jean Philippe Maury spent two years designing this shop, which boasts the world’s largest chocolate fountain. 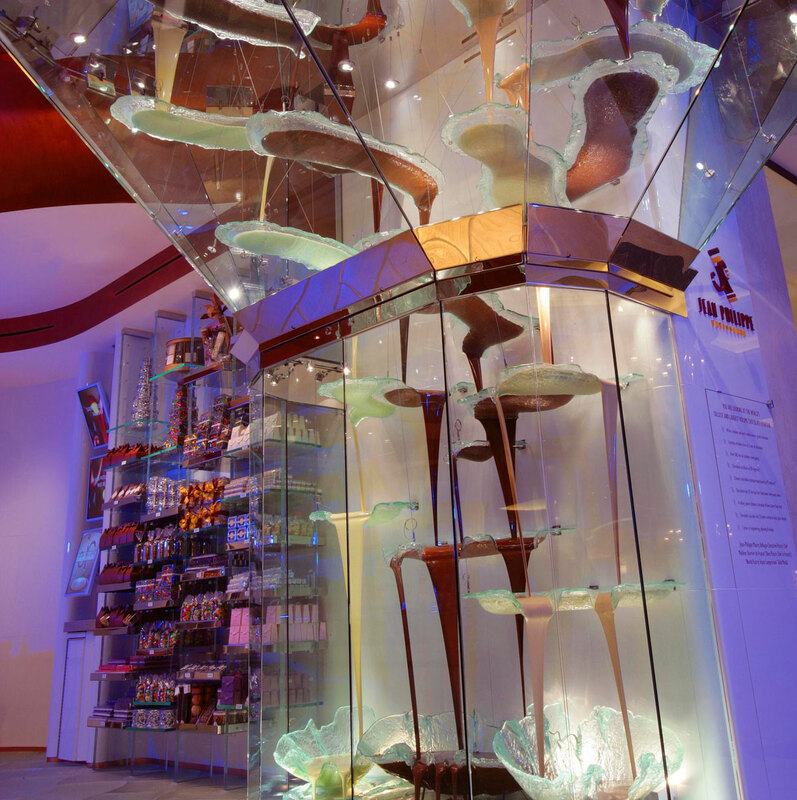 The fountain, certified by Guinness World Records, is 27 feet high and circulates almost two tons of chocolate. 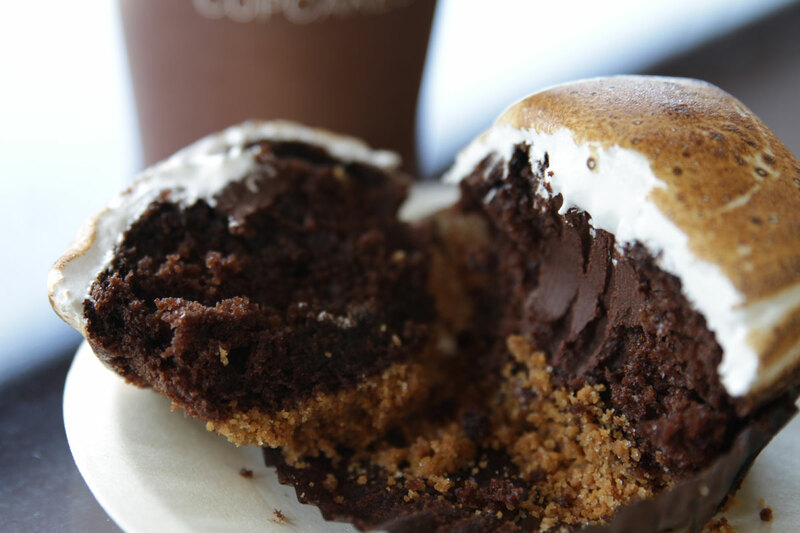 It’s a chocoholic’s dream come true. After you look at the fountain you’ll want to indulge in some chocolate. The shop is stocked with crêpes, pastries, gelato and candies. Jean Philippe also has a location at Aria. Be sure to check out all of the beautiful chocolate sculptures on display too. Acclaimed chocolatier François Payard serves up plenty of chocolate delicacies in this pastry and chocolate shop. Find your chocolate in the form of macarons, truffles, ice cream sandwiches and pastries like the Chocolate Decadence with chocolate mousse, chocolate sable on flourless chocolate cake, chocolate cremeux and feuilletine. 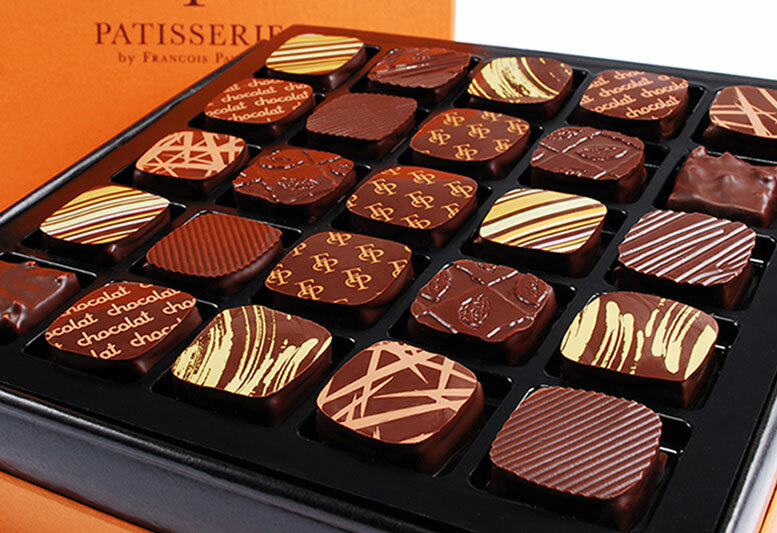 The shop also sells beautiful boxes of chocolates, which always make the perfect gift. You don’t always have to eat your chocolate. You can drink it too. 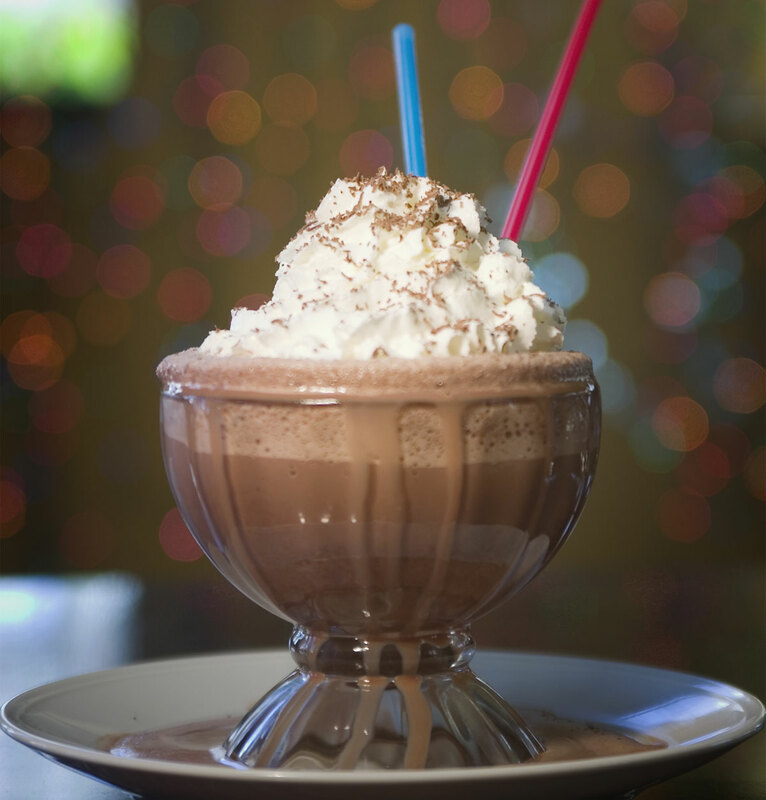 And there’s no better way to drink chocolate than Serendipity 3’s famous Frrrozen Hot Chocolate, which blends 20 different kinds of chocolate into an icy cocoa creation. The restaurant also serves chocolate in many other forms. There are coffees like the Chocolaccino – cappuccino, whipped cream and shaved French chocolate. There’s also chocolate sundaes, chocolate shakes, chocolate blackout cake – the possibilities are endless. 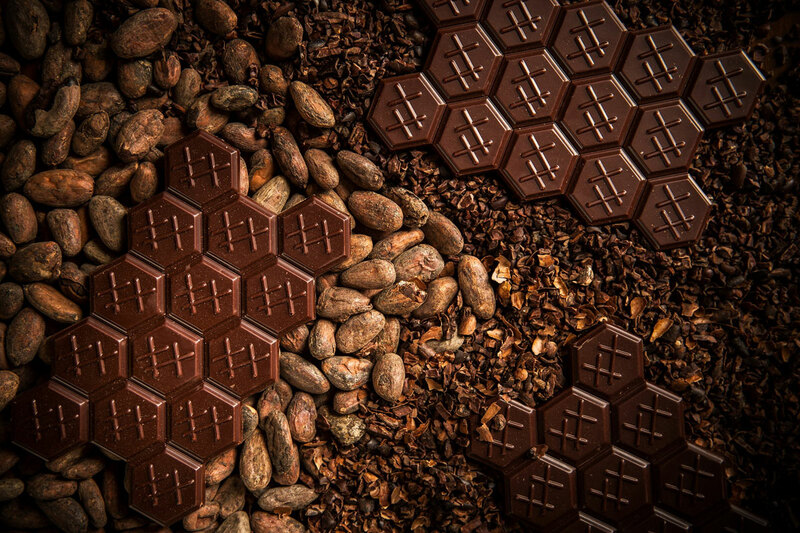 Hershey’s knows a thing or two about chocolate. So you know a place like Hershey’s Chocolate World will satisfy your cravings if you’re a chocolate lover. 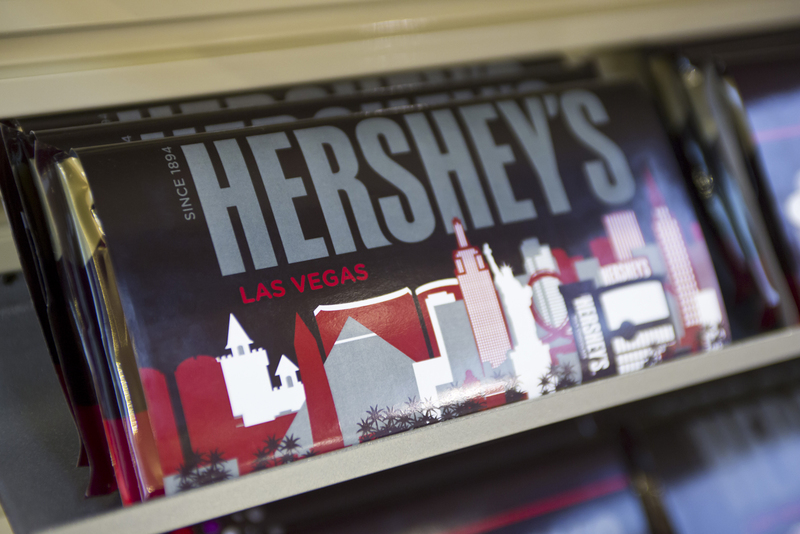 The store is filled with more than 800 Hershey’s candies. There are chocolate bars, Kisses, Hershey’s Chocolate Syrup in giant bottles and a bakery counter with cookies, brownies, cupcakes and other fresh treats. Be sure to snap a photo of the chocolate sculpture of the Statue of Liberty. Sorry – you can’t eat it. 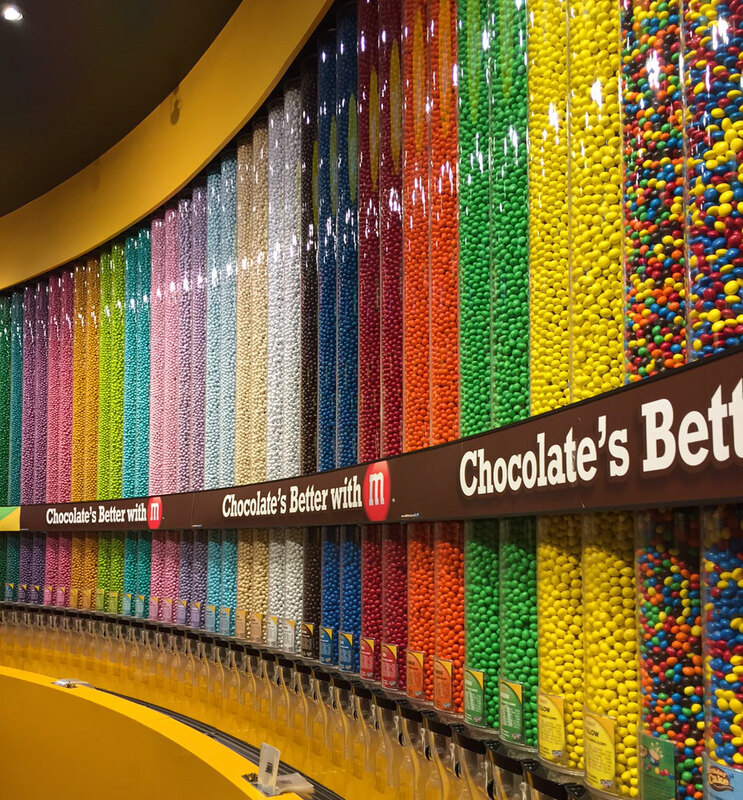 If you prefer M&Ms over Hershey’s Kisses, head across the street to M&M’s World for four floors of chocolate heaven. The store sells every variety of the chocolate covered candy you can think of. You can personalize your own candy and choose any color imaginable from the rainbow wall of M&Ms. If you want to try some locally-made chocolate, head out to Henderson and Ethel M Chocolate Factory. Forrest Mars Sr. opened the factory in 1981 and the brand was named for his mother who made chocolates from scratch. You can watch the chocolate making process through the factory’s windows and then grab a sample in the retail shop. Once you have a sample, you’ll probably want to buy a box or two of the sweet stuff. The store is filled with white chocolate, dark chocolate and milk chocolate with fillings like fruit, caramel or nuts. The gift shop includes M&M’s chocolates and souvenir items. You’ll also want to be sure to visit the cactus garden outside. 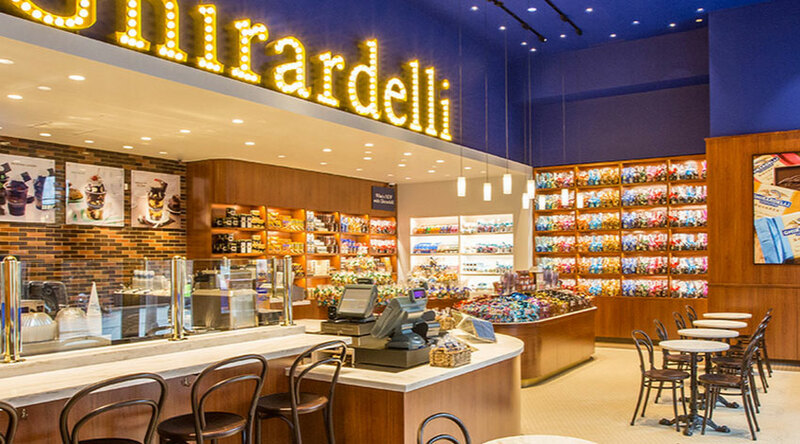 This famous San Francisco shop has been making chocolate since 1852 and we’re happy they have a location in Las Vegas. The store is filled with chocolates — dark chocolate, milk chocolate, chocolates filled with caramel and hot cocoas. Oh, and don’t forget the ice cream. The shop serves its famous hot fudge sundaes, with homemade hot fudge, whipped cream, chopped almonds and a cherry on top. Sprinkles is famous for its cupcakes, which you can find in many chocolate flavors like Black & White (Belgian dark chocolate cake with vanilla frosting), chocolate coconut, chocolate marshmallow, dark chocolate, milk chocolate and peanut butter chocolate. Besides the cupcakes, Sprinkles also sells cookies and ice cream. Chocolate lovers will love ice cream flavors like dark chocolate, triple chocolate and malted milk chocolate. Cookies come in varieties including chocolate chip and double chocolate. 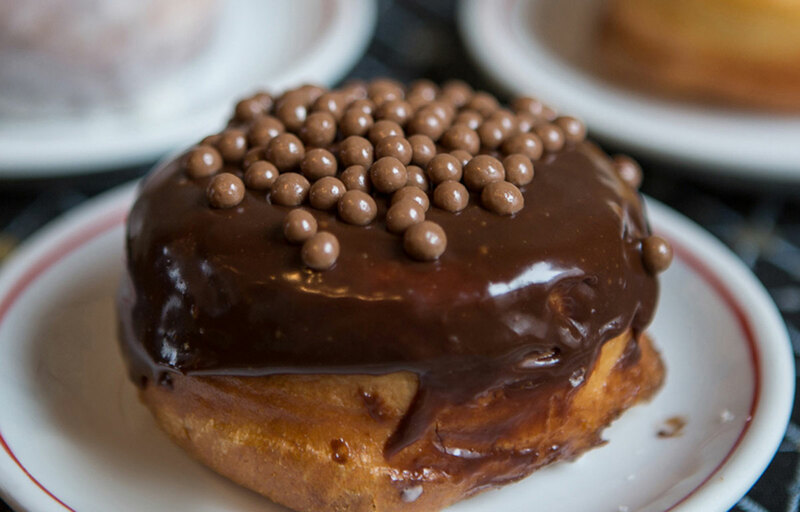 O Face Doughnuts, 124 S. 6th St.
Doughnuts are a great excuse to eat chocolate first thing in the morning. O Face has lots of different and unique flavors and plenty of them are chocolate based. There’s chocolate glazed, chocolate old fashioned, cinnamon milk chocolate, vegan dark chocolate glazed, gluten-free flourless chocolate cake, S’mores and Mexican chocolate with horchata pudding. No matter which one you choose, you won’t be disappointed. Drooling yet? We don’t blame you. For even more sweet bites, check out our full list of Vegas pastry and ice cream shops.